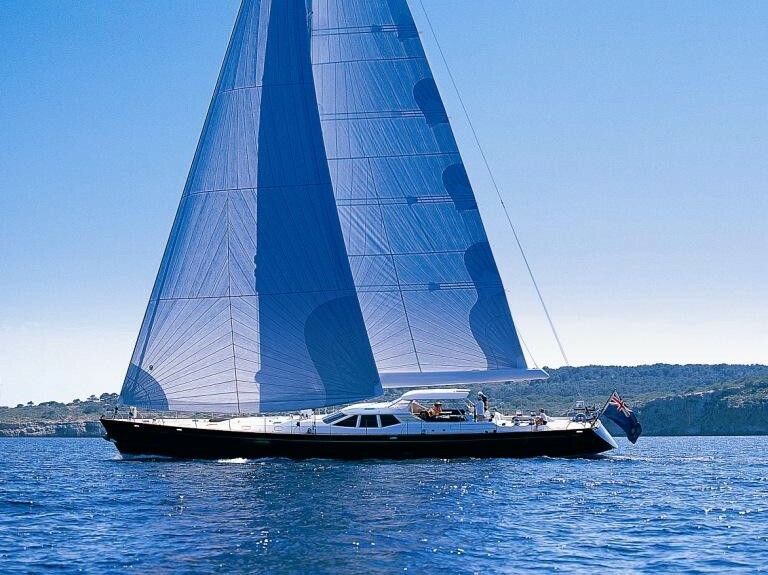 Caribbean & Mediterranean luxury sailing yacht 'Margaret Ann' is a lovely yacht that was built by Pendennis Shipyard and launched in Falmouth, England. 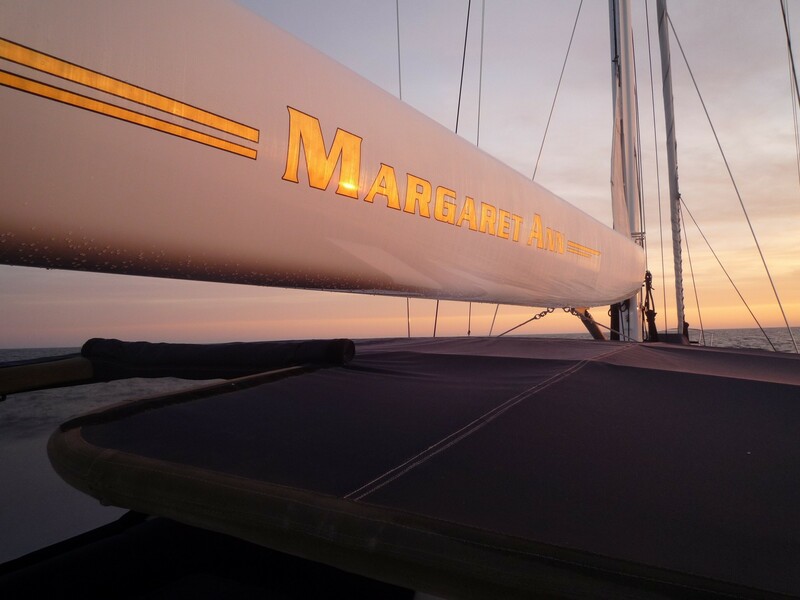 Margaret Ann is 95 foot in length and offers charterers elegant lines, spacious accommodation and superb sailing performance. 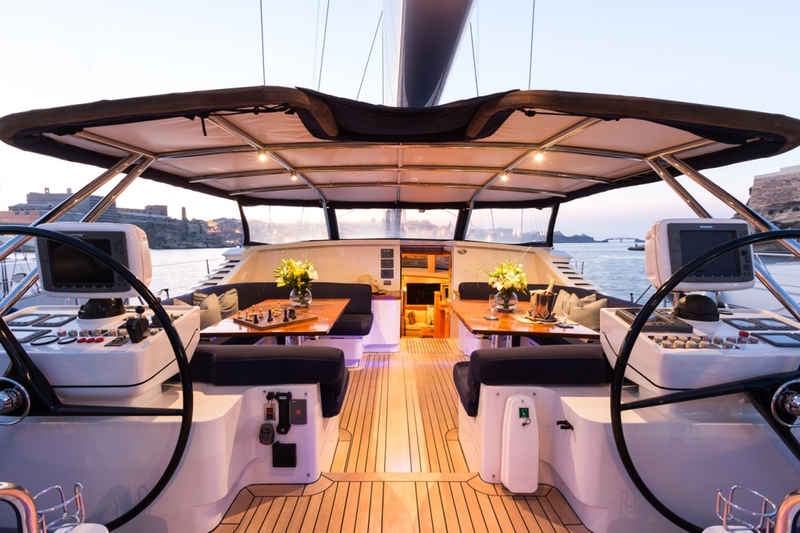 She features a beautiful calm and contemporary interior, as styled by Redman Whiteley Dixon, with integrated state-of-the-art electronic entertainment facilities. 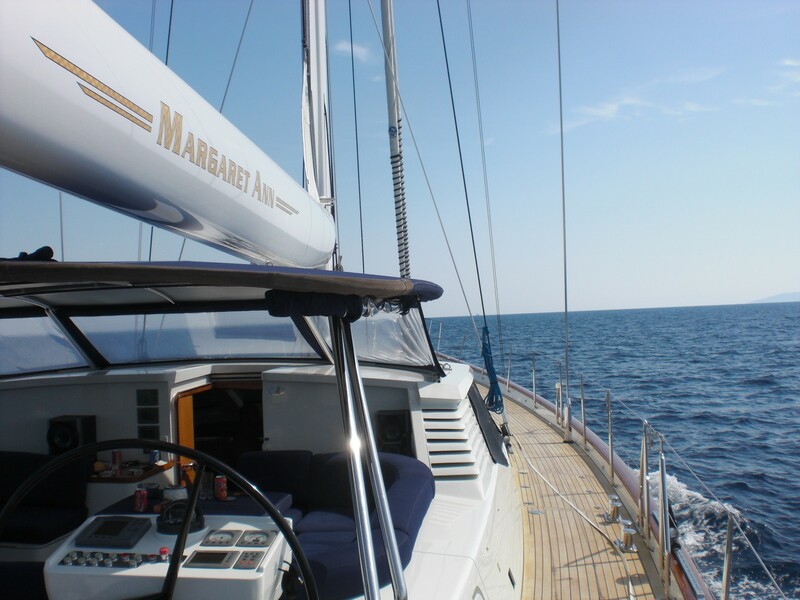 Margaret Ann also underwent a refit and was re-launched in January, 2013. 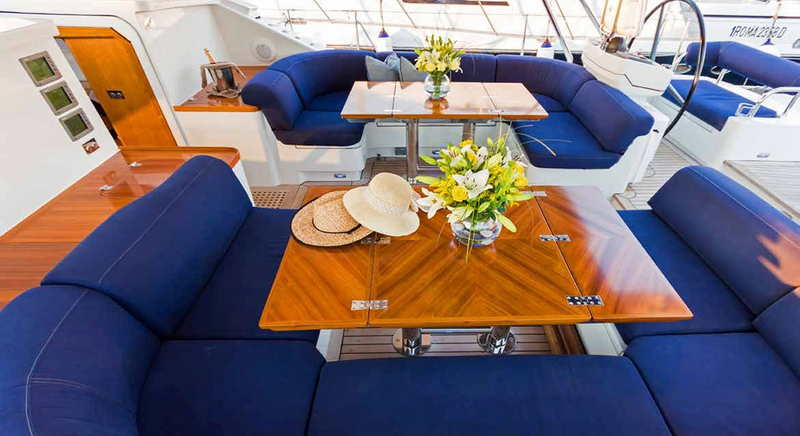 Sailing yacht Margaret Ann’s spacious cockpit encourages comfortable alfresco dining under shade, if necessary, with a fixed sun awning. 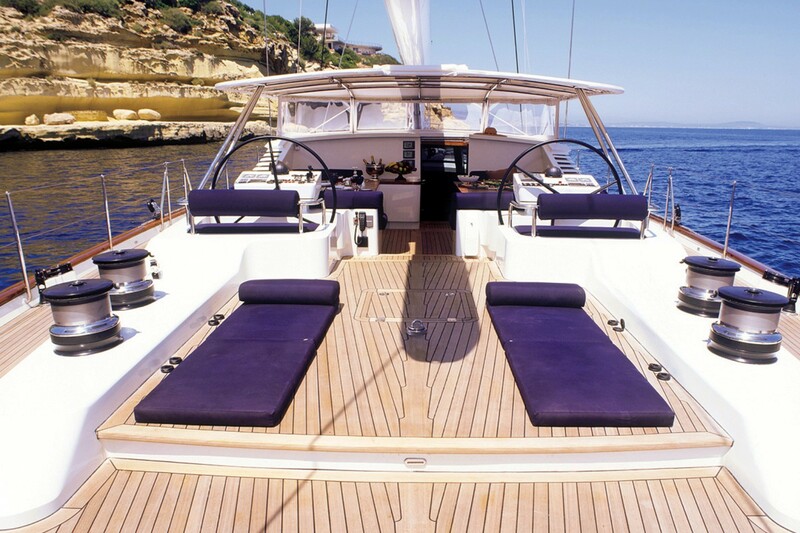 Her broad teak decks have plenty of space for outside sunbathing and relaxation. 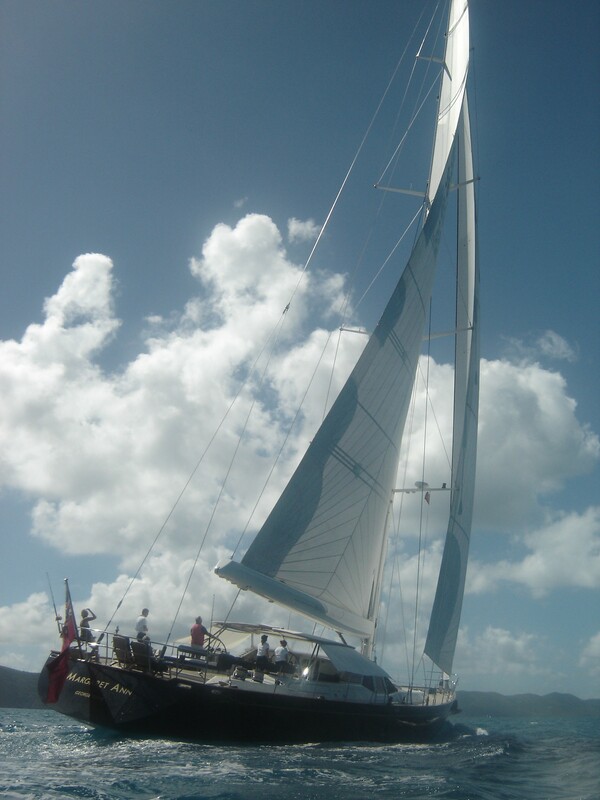 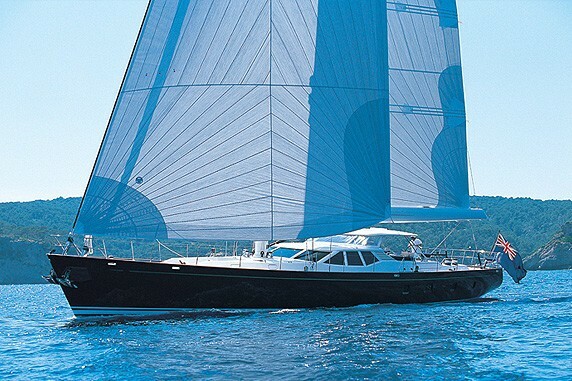 She is a first rate cruising yacht that also offers fast sailing performance. 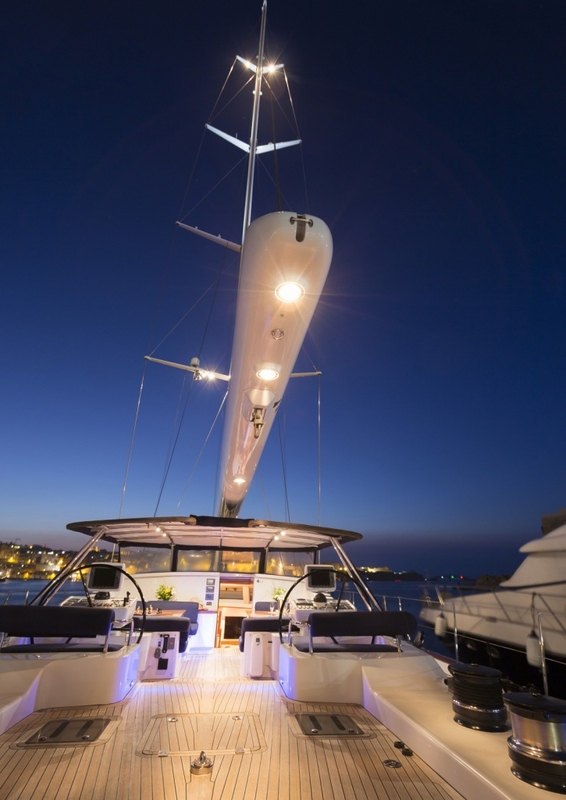 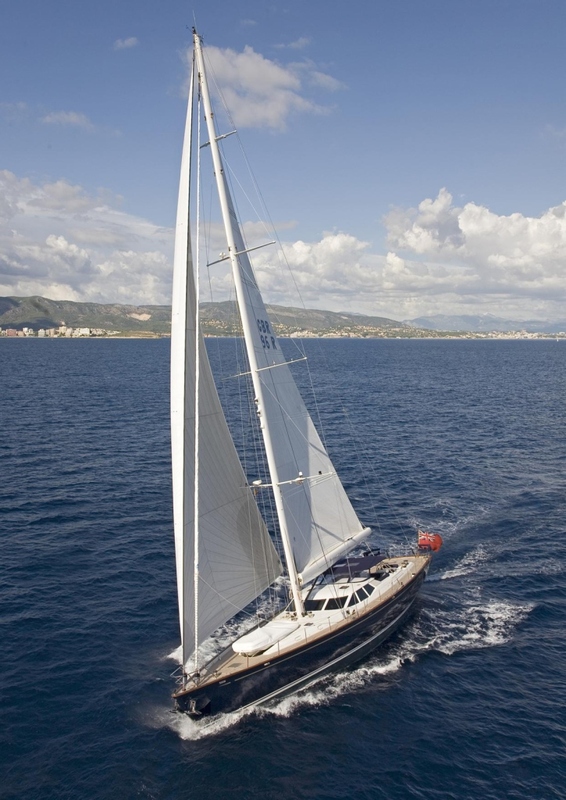 She turns heads wherever she sails and is already a highly sought after charter yacht. 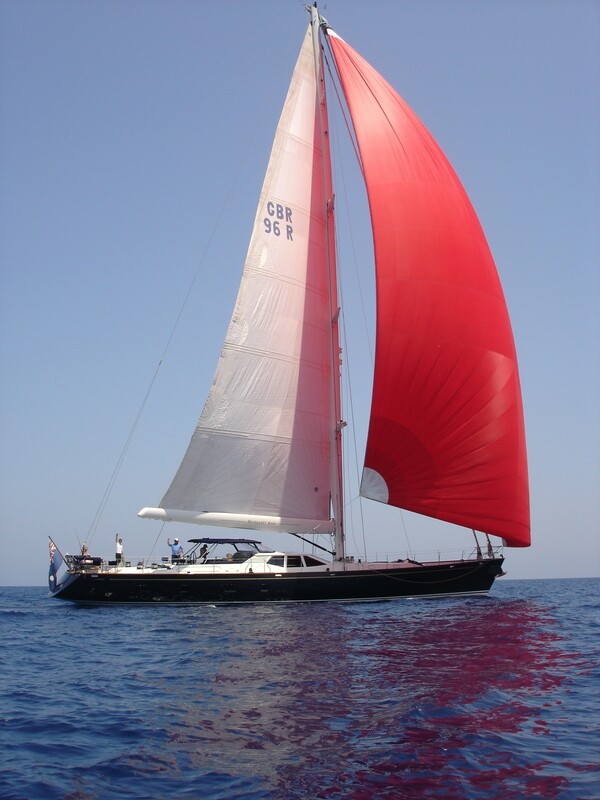 The experienced professional crew of 4 has Richard Humphreys (Humph) at the helm (who is very well known in the industry). 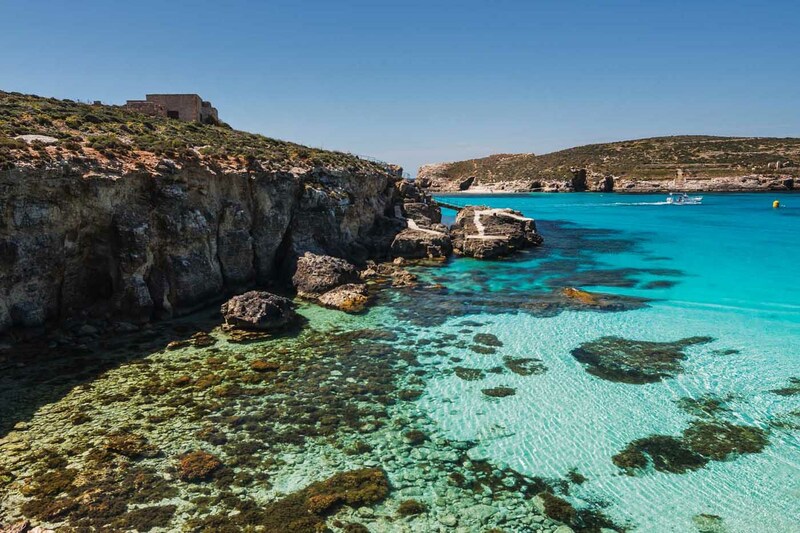 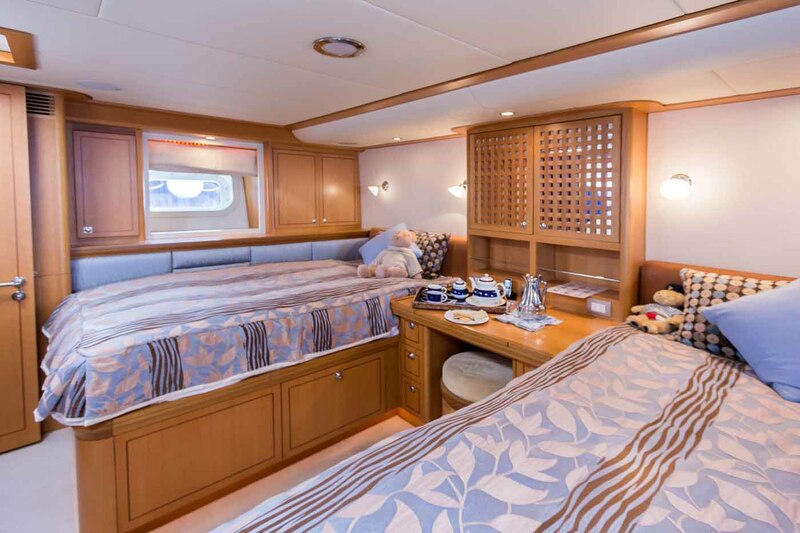 She also offers a generous selection of water toys and amenities making her a very well balanced charter yacht which offers everything on a Caribbean or Mediterranean charter. 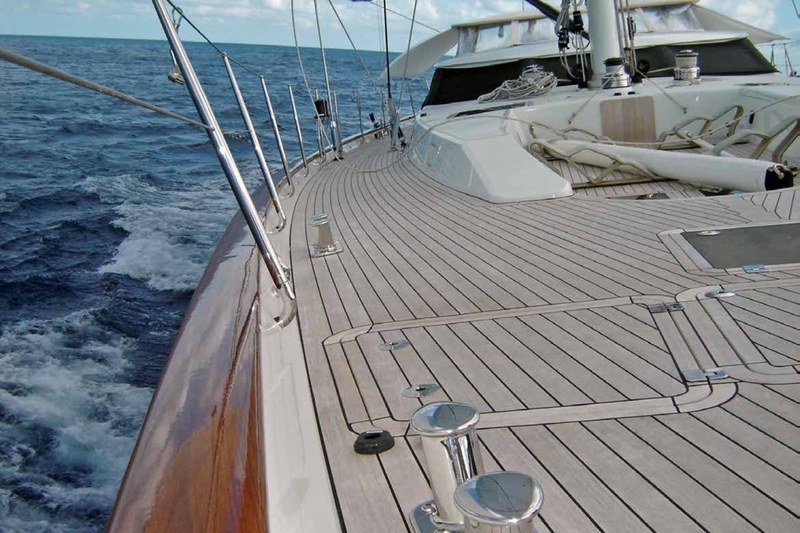 Margaret Ann yacht's four-month refit programme of works in 2012/2013 included the installation of a new cutlass bearing and re-alignment of drive train; rejuvenation of the teak decking; paint works; new anchor chains and a generator rebuild. 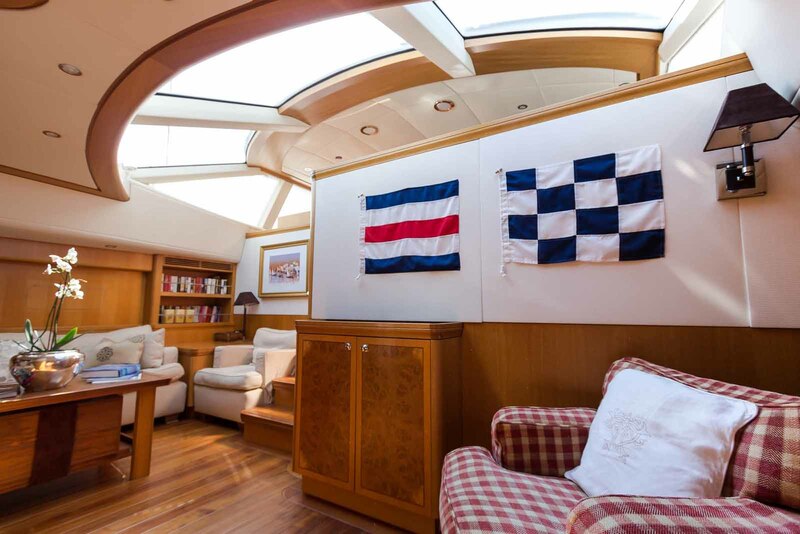 The refit was closely managed by Pendennis and the Captain, with a blend of trusted local subcontractors used alongside Pendennis’ in-house engineering experts. 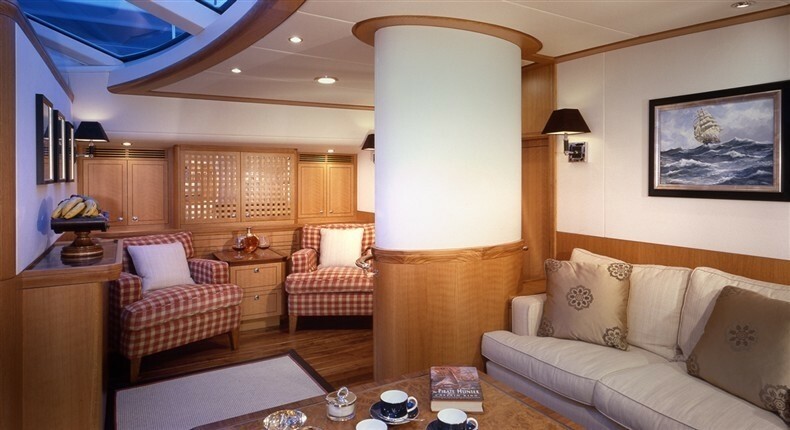 Pendennis Palma also has a strong relationship with local joinery company Trappmann Interiors, who carried out all joinery works aboard Margaret Ann, with Pendennis able to provide all the original build information to assist with the smooth running of the refit. 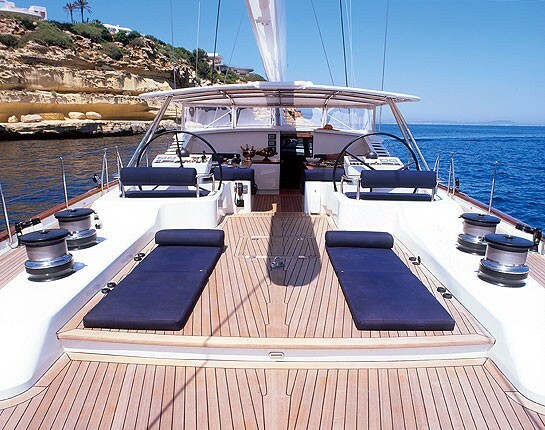 Mediterranean & Caribbean sailing yacht 'Margaret Ann' offers yacht charter accommodation for up to 10 guests. 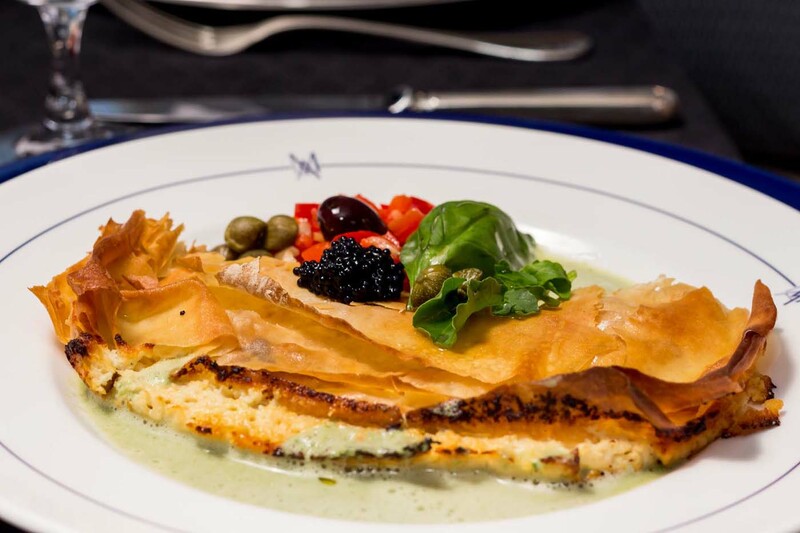 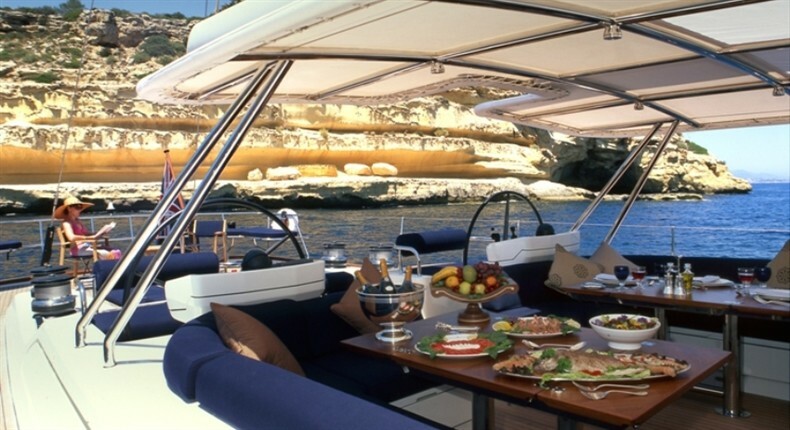 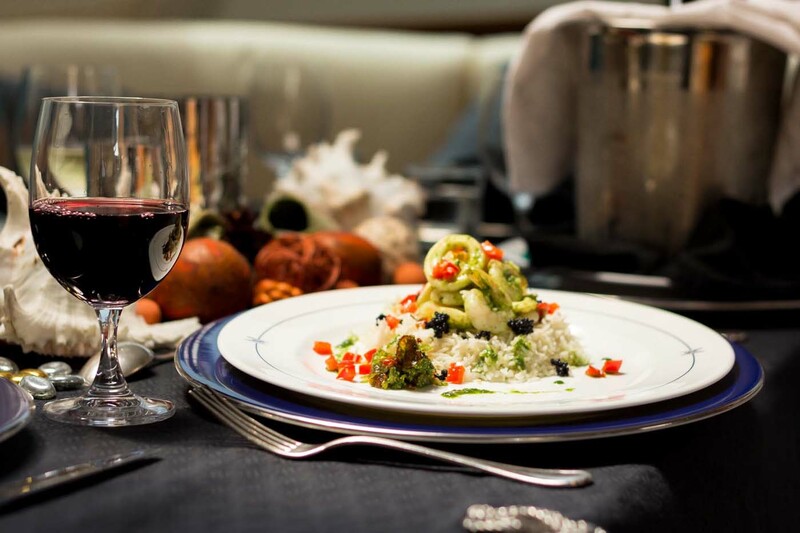 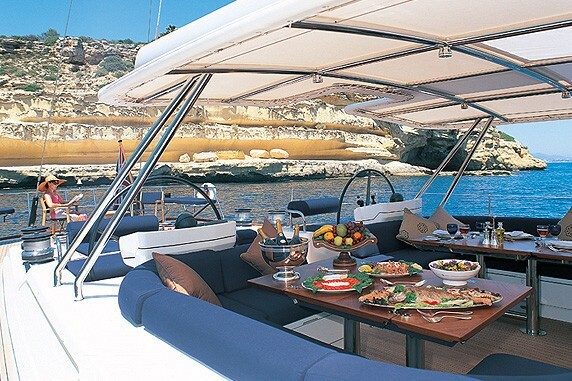 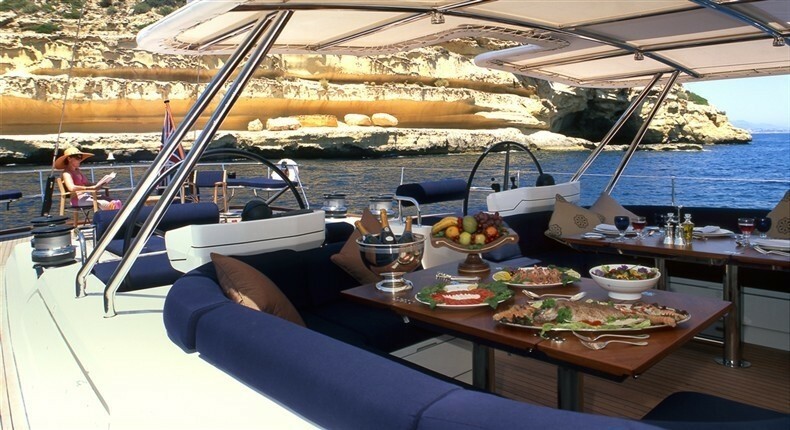 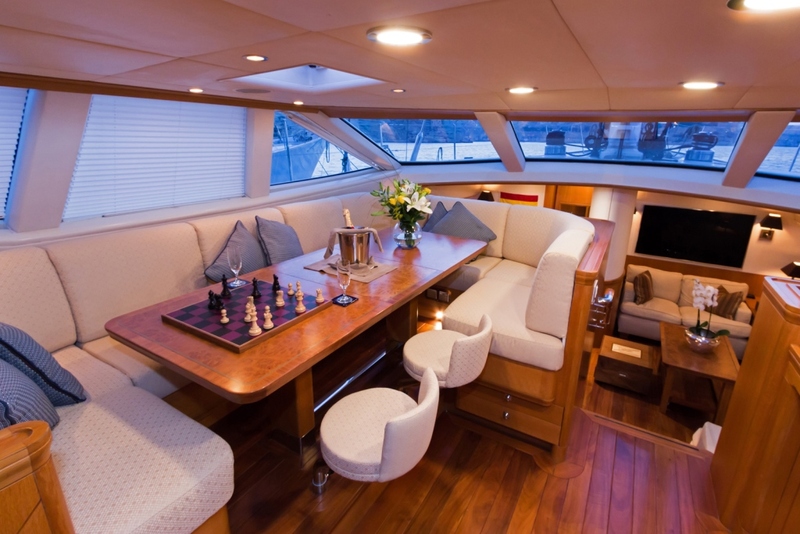 Her interior offers state of the art entertainment and can accommodate the most discerning charter party in style. 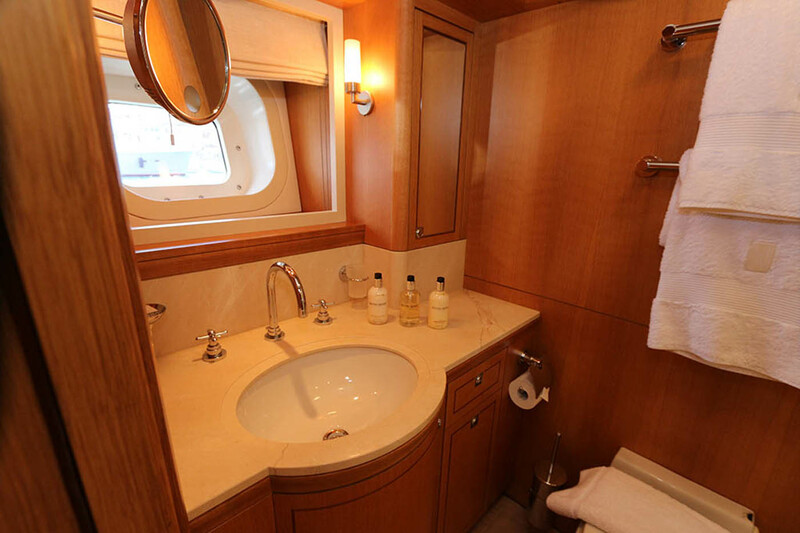 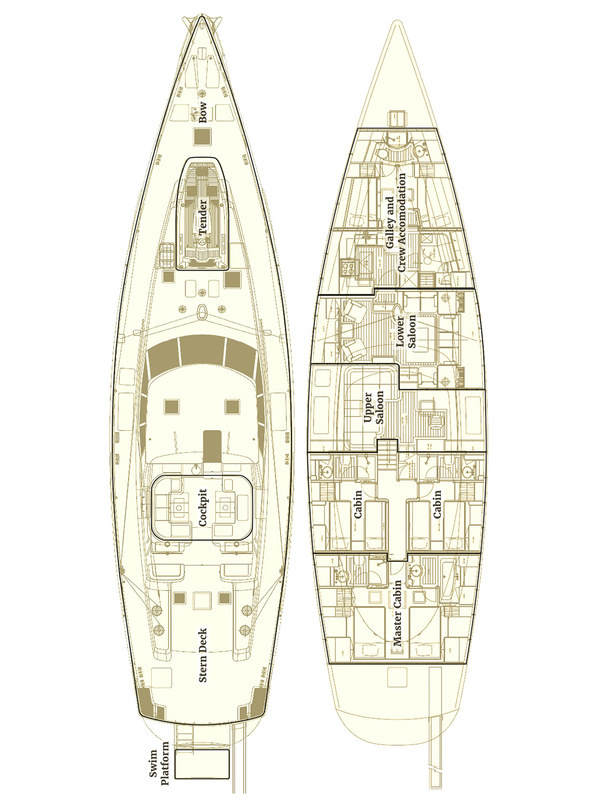 The yacht’s full beam master stateroom offers two 4 foot wide queen sized beds and an en-suite bathroom and shower room. 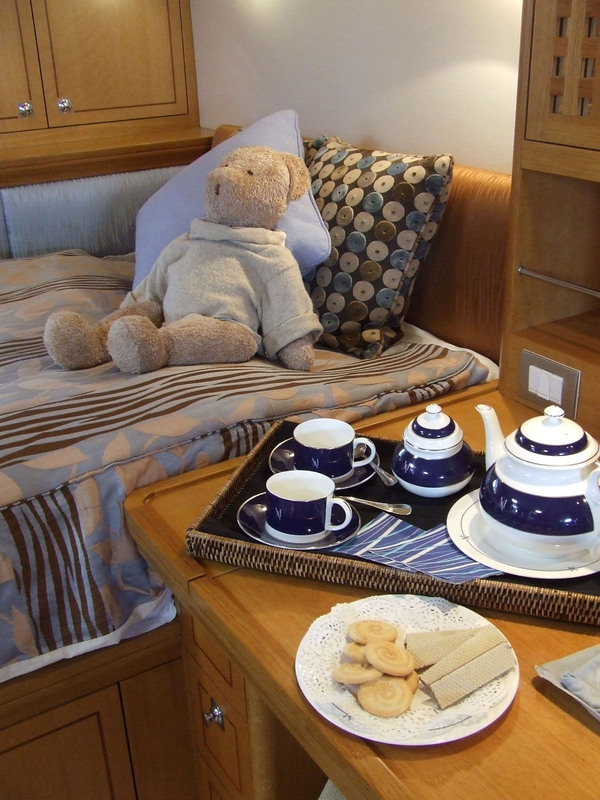 Margaret Ann’s two further twin cabins each provide an additional Pullman berth, which are ideal for family charters. 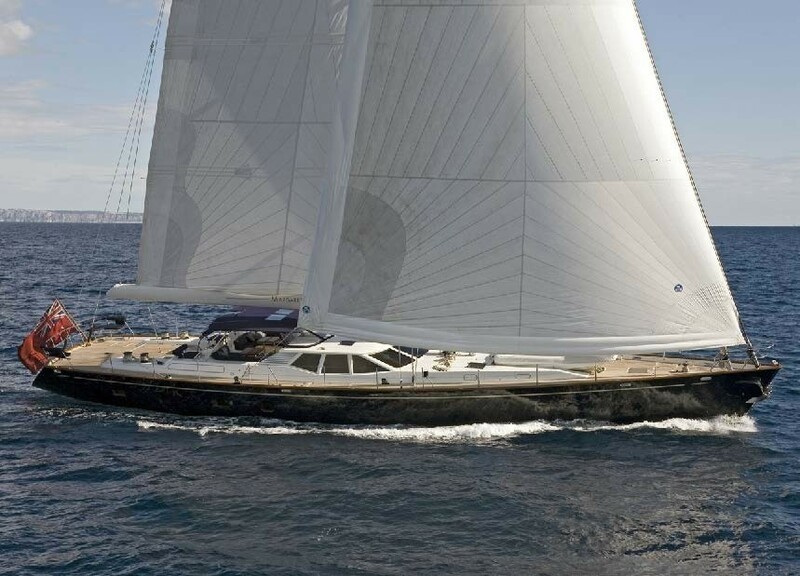 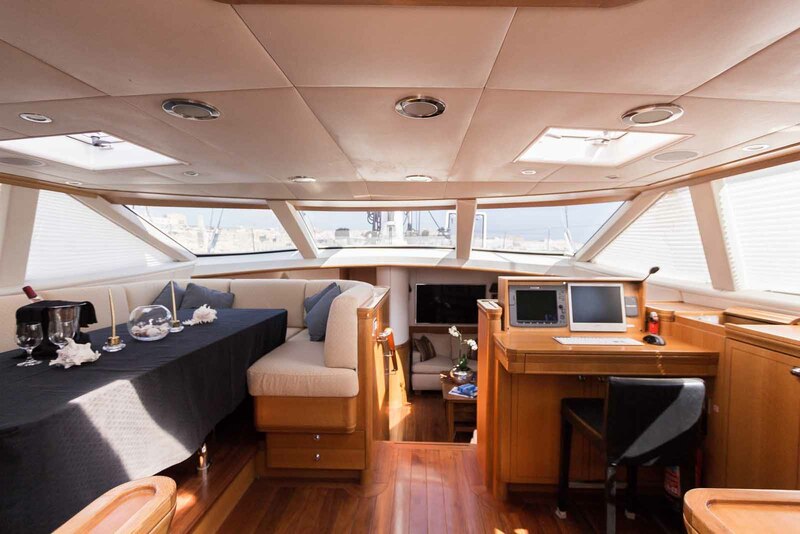 Mediterranean sailing yacht 'Margaret Ann' provides the following yacht charter amenities and extras: She has a 15 foot Costoldi Tender with a 100 hp jet unit, a 10 foot Achilles second tender with a 8 hp engine, water-skis, a towable 'donut', various snorkeling gear. 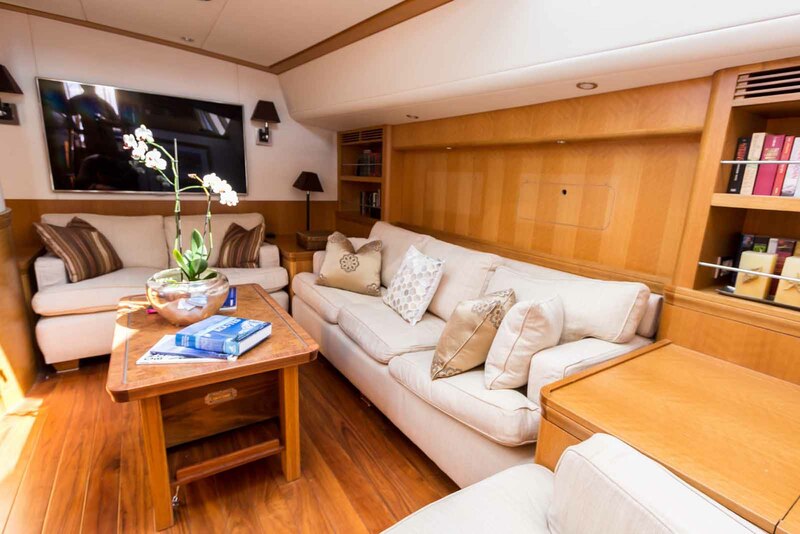 The cabins have 20 inch Sharp LCD TVs and the Saloon a 30 inch Sharp LCD as well as DVD & CD players in all her cabins and the main saloon. 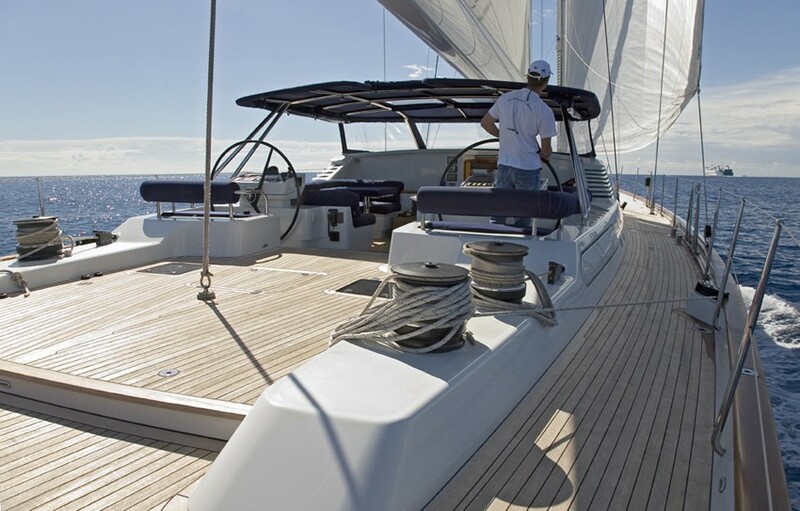 There are also on deck speakers.